The Philippines industrial revolution has given many career opportunities to the Filipinos. According to the latest annual global survey, the job seekers Philippines will have a sea of career opportunities as the companies amplify their recruitment activities in 2018. 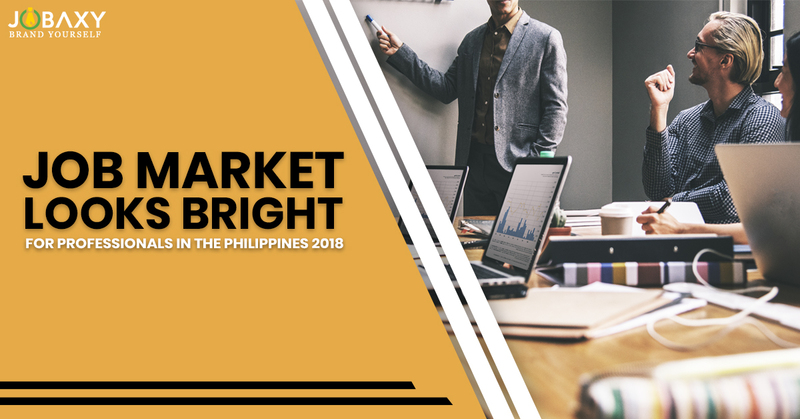 With an increasing number of local and multinational corporations setting up their business in the Philippines, there is a steep rise in the job vacancy for qualified professionals. The year 2018 have brought with it a strong potential in the market for mid to senior level professionals especially, those with specialised skills. Sometimes the recruiters experience talent shortage, thus to recruit and even to retain the best talent, hiring managers offer competitive salary packages and well thought-out growth path. The annual global salary survey hints that the qualified professionals looking for a job change can expect salary increments of 20-30%. Looking at the current talent shortage for certain job functions, the employers will look out for both domestic and overseas Filipino professionals with relevant work experience, strong communication skills, and commercial expertise. Finance Sector – The professionals with experience in the strategic business development, financial planning and treasury will be highly required in the accounting and finance sector. The Banking Sector – In the year 2018 the banking and financial sector will see a lot of job vacancy because of the increase in complex and critical functions such as investment banking and compliance roles. The HR Domain – HR professionals are required in all the industries for talent acquisition, recruitment, change management, and people management. As the companies are growing and strengthening their corporate hold, there is a huge demand for qualified HR professionals. IT Sector – The industrial revolution sow the seeds of the IT industry in the Philippines. The seeds now have germinated into a plant that is growing tremendously. The growth of the IT industry will see an increase in career opportunities for mobile, social, cloud and analytical roles. Voice Processes – The Philippines is for a while now the leader in the BPO sector. There are more and more companies eyeing for setting their customer service centres in the Philippines, thus creating plenty of job vacancy for the call centre agents. These are just a few sectors that are hiring actively in 2018 in the Philippines, but there may be more job vacancy in the current job market of the Philippines. To know more about the careers in Philippines visit us at jobaxy.com. Jobaxy is the leading online job portal helping people with their dream jobs in the Philippines.